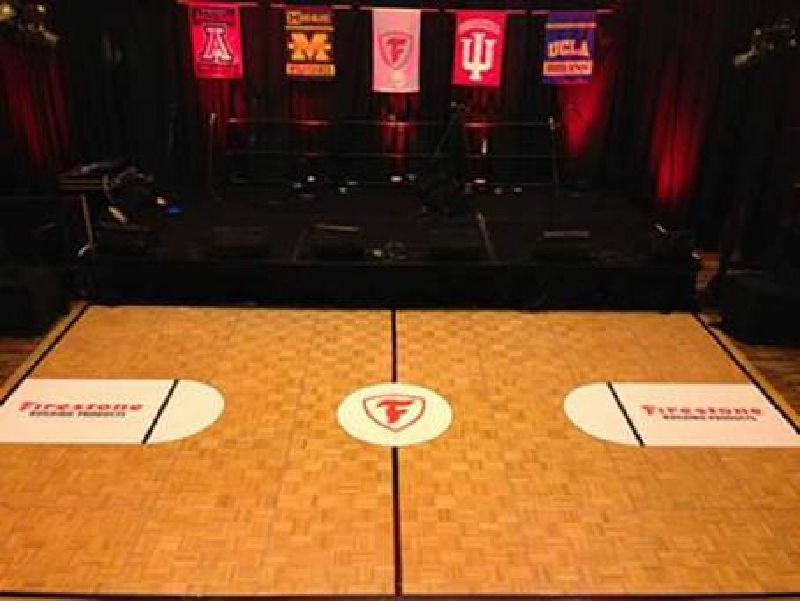 we do offer full-color, custom-printed graphics for all of the floor options. 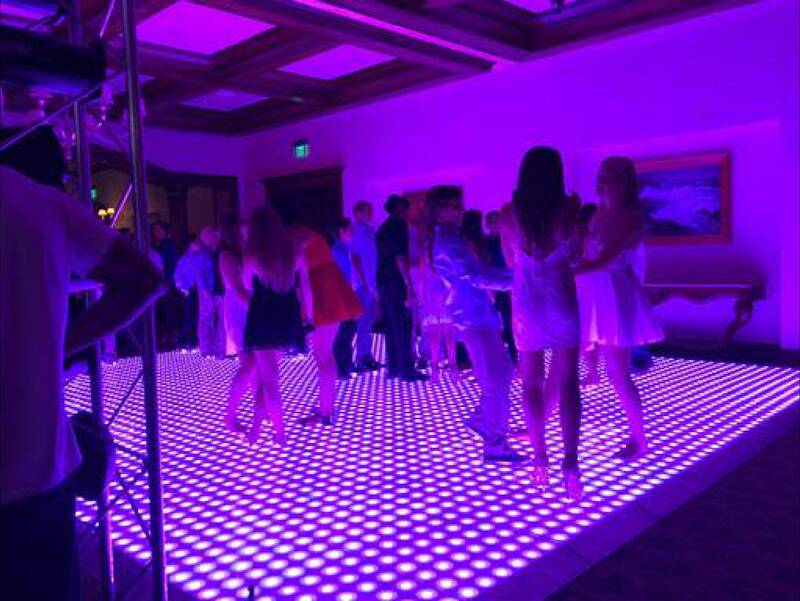 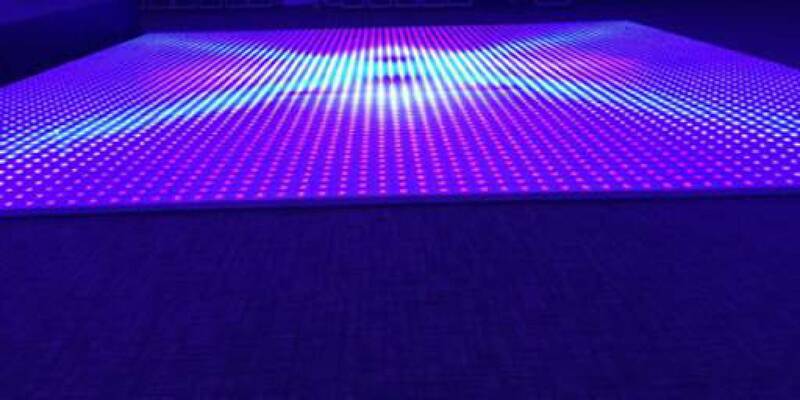 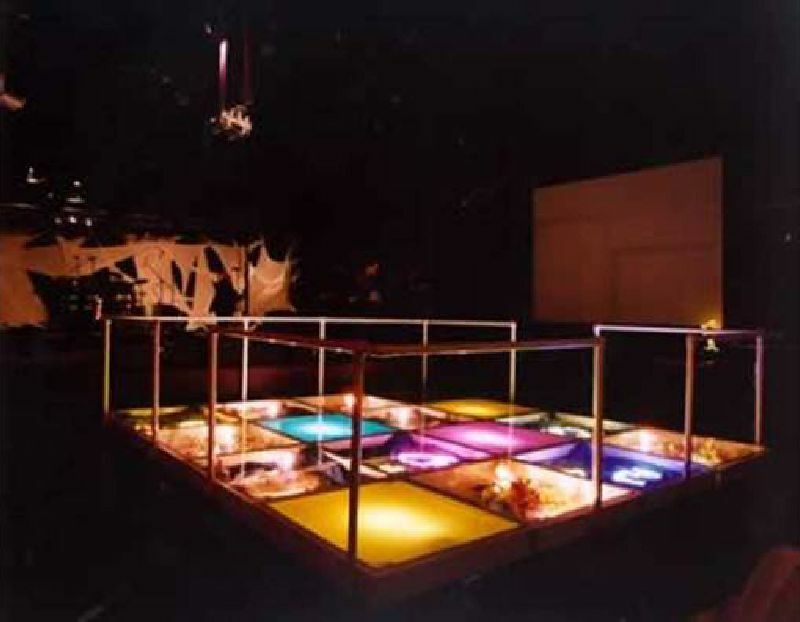 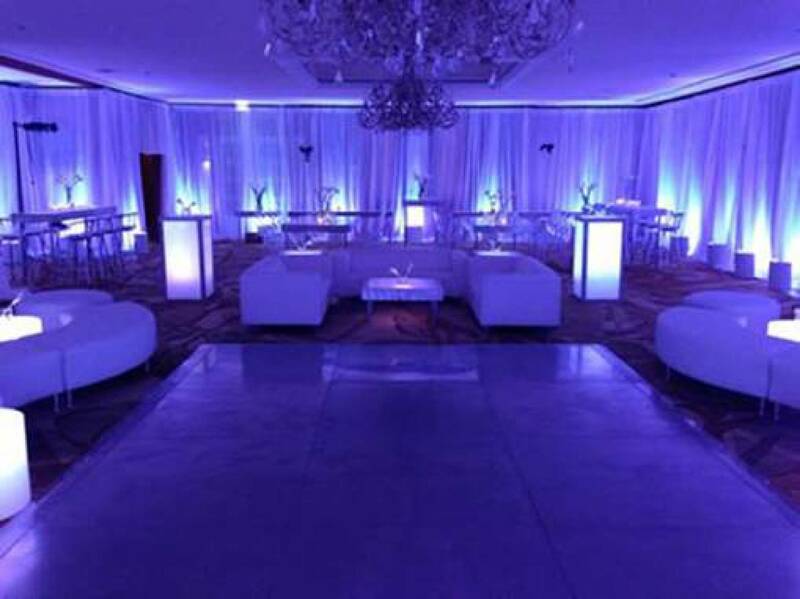 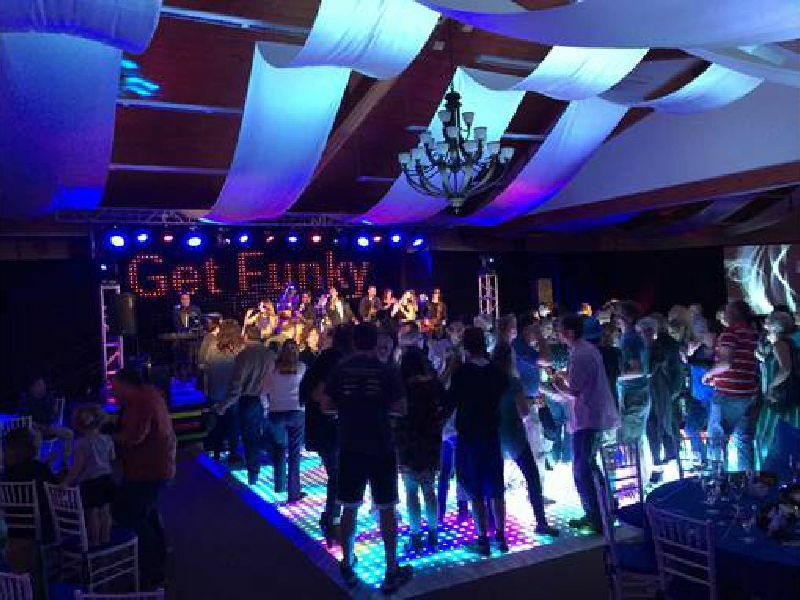 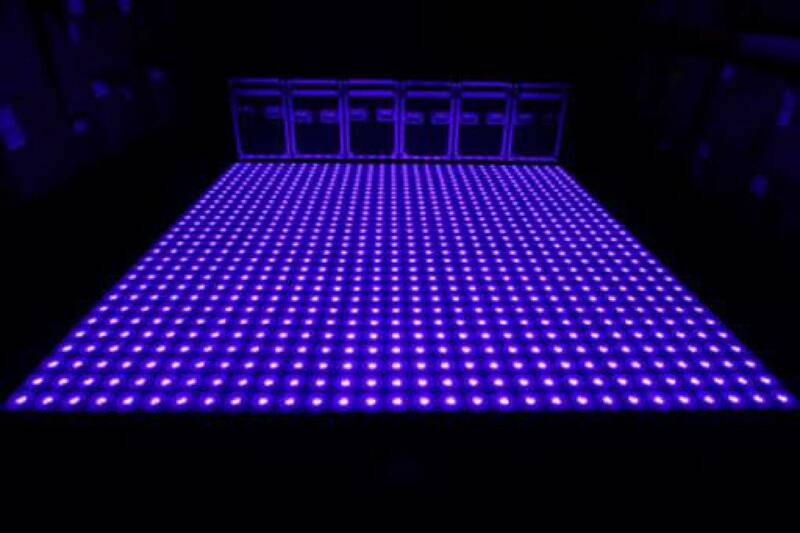 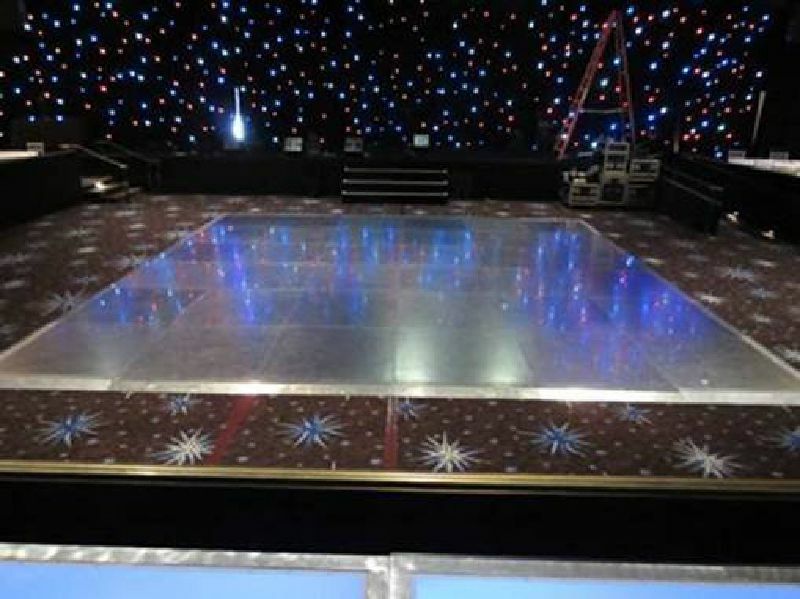 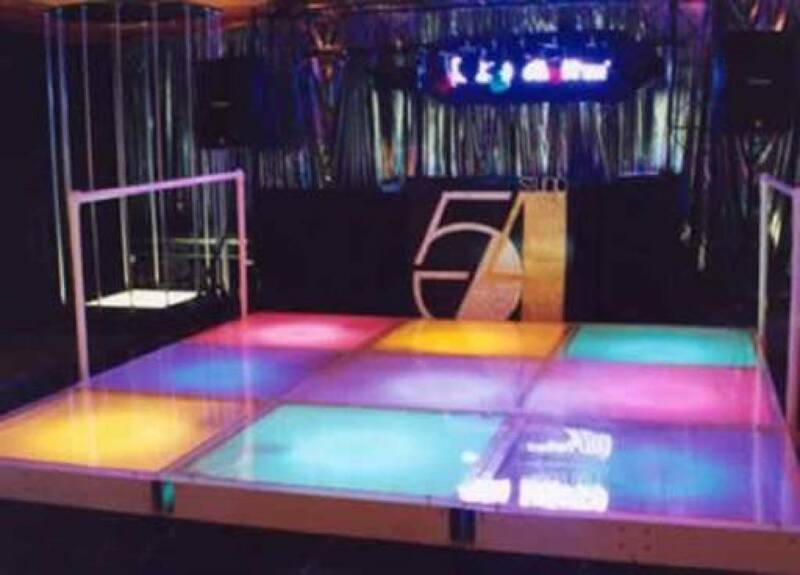 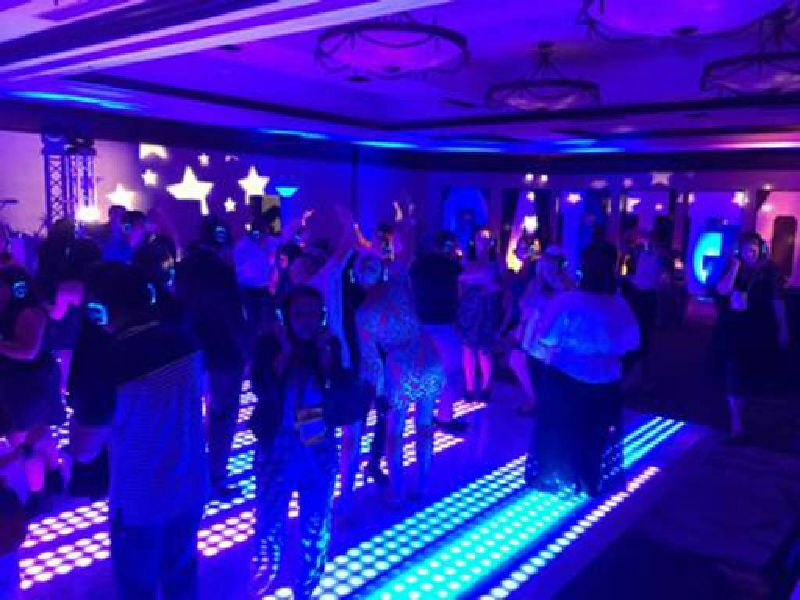 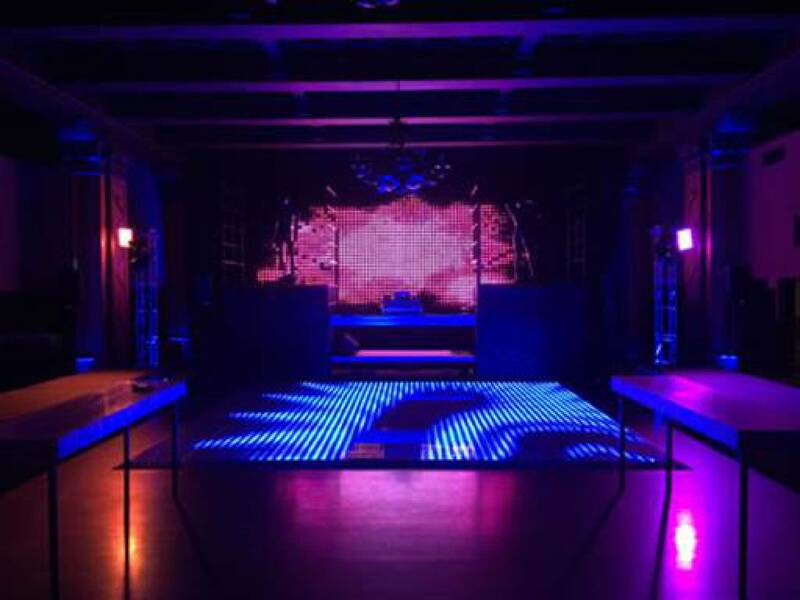 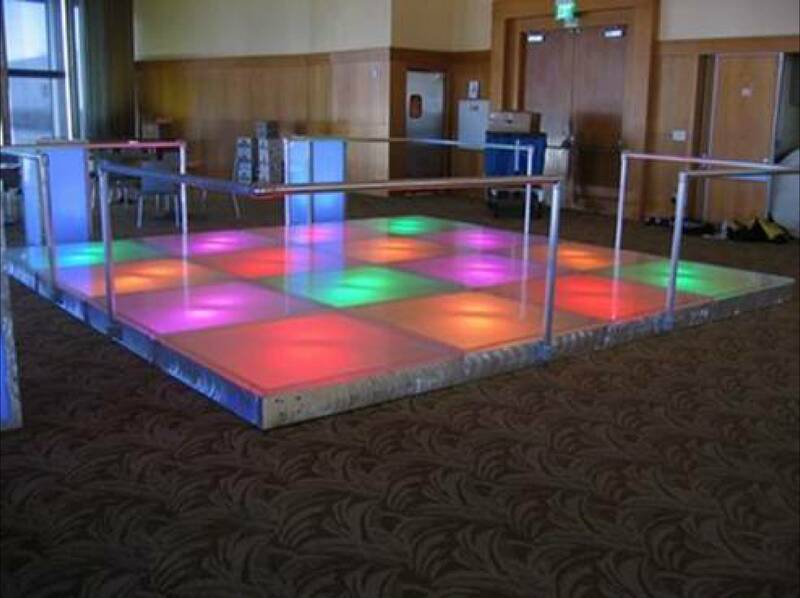 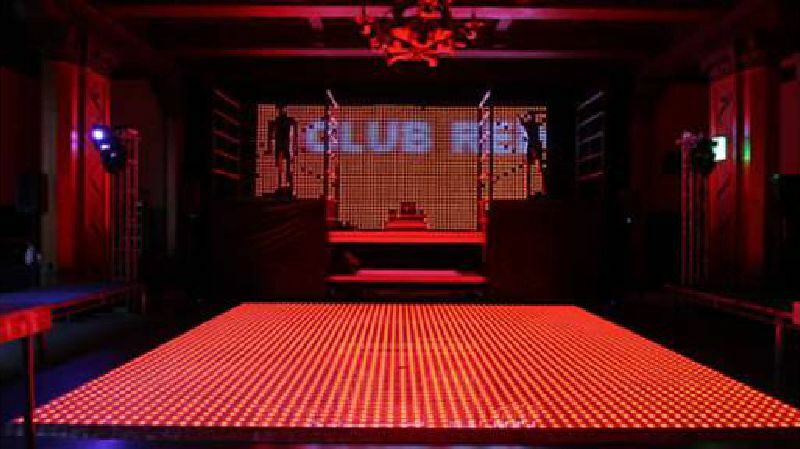 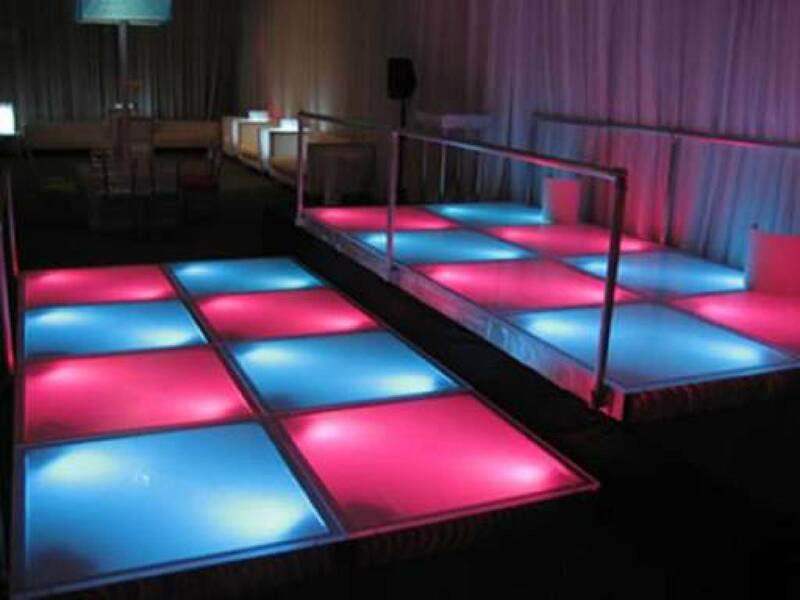 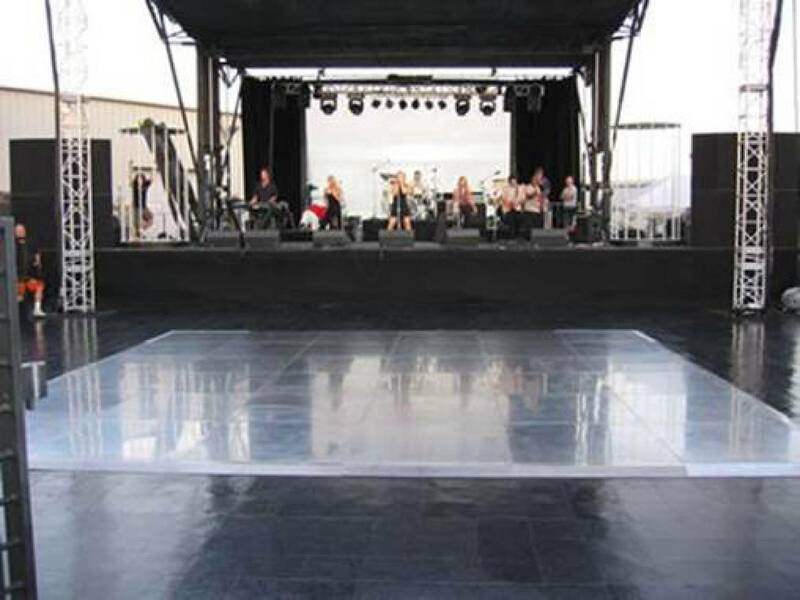 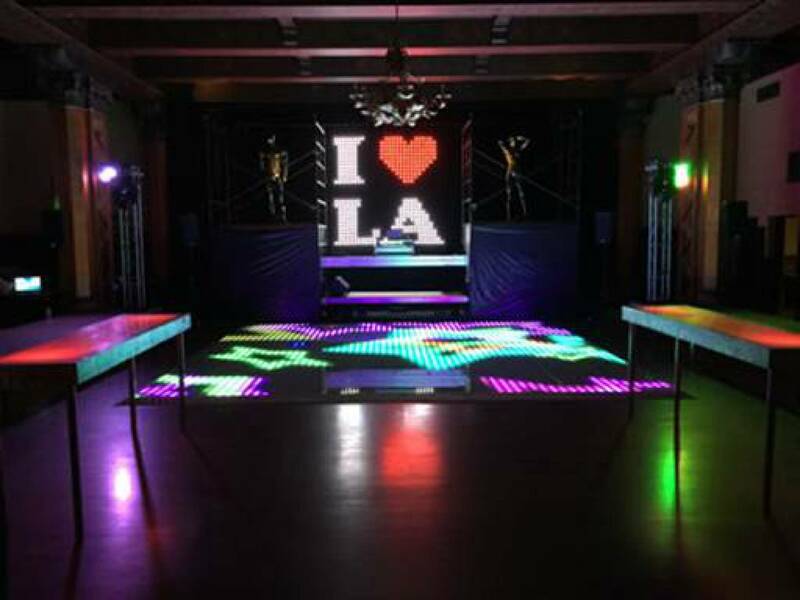 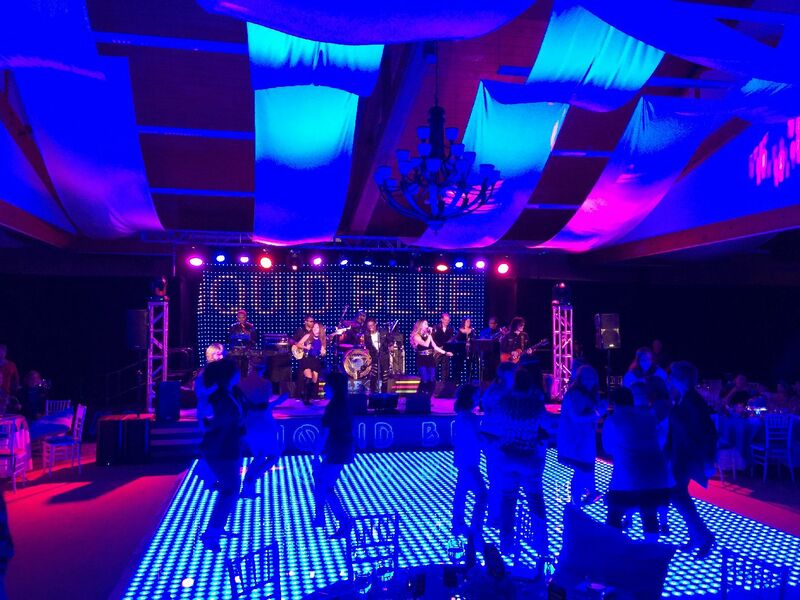 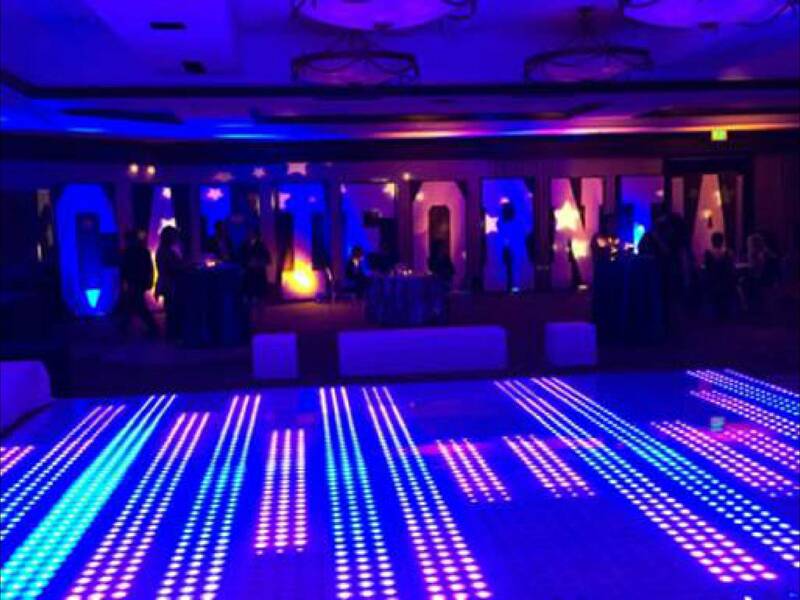 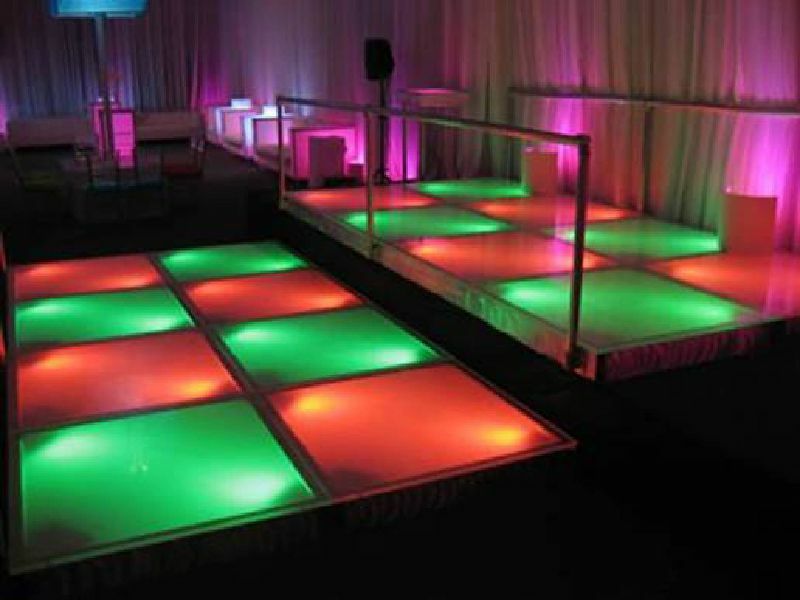 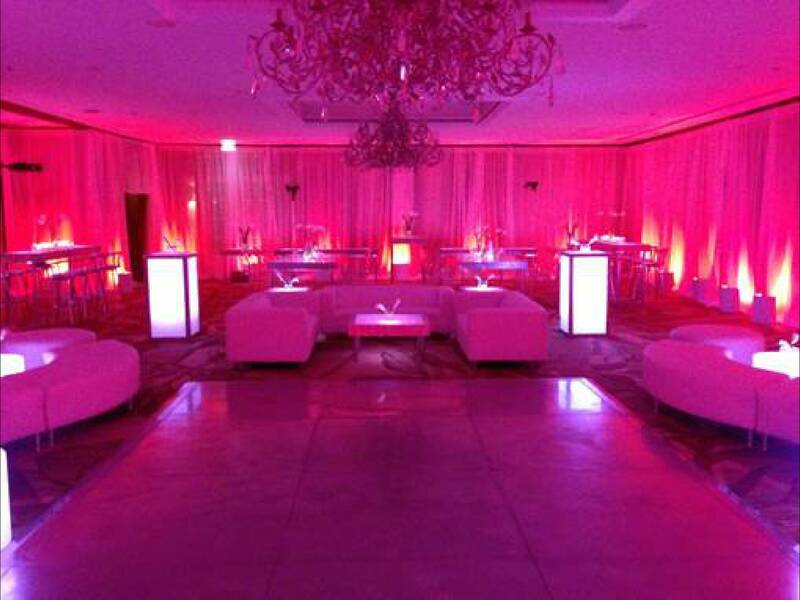 Absolutely Fabulous Dance Floors for rent! 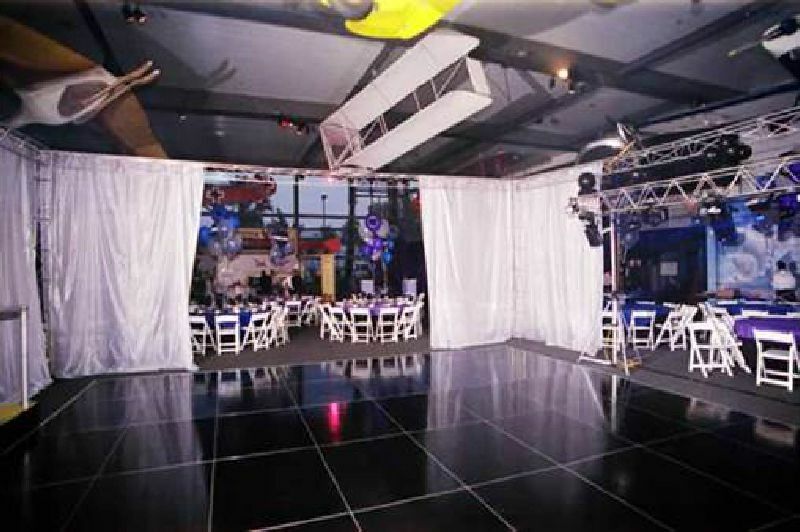 The squares are 4 ft. x 4 ft. x 1½ “ high, to a maximum of 24 ft. x 24 ft. Edging around the floor is about 6” wide. Each square is 4 ft. x 4 ft. and 7” high. 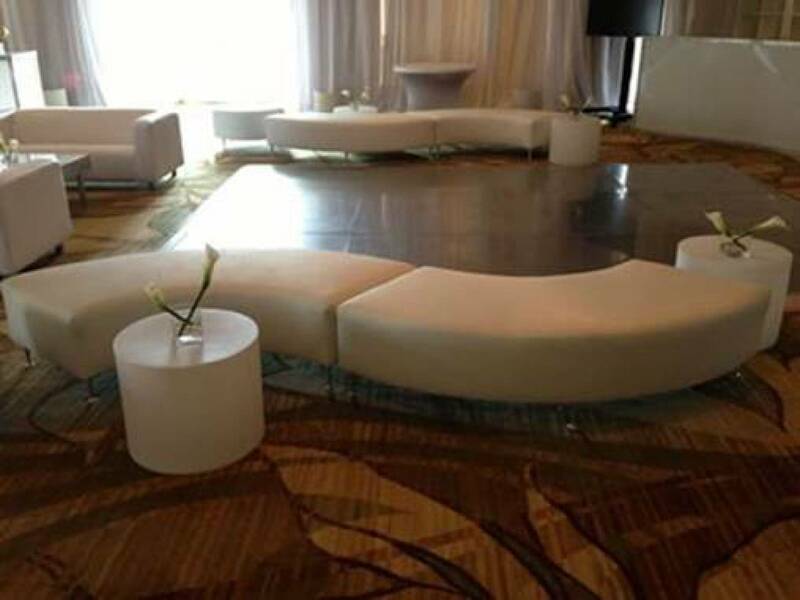 We have (36) squares and can now do up to 24 ft. x 24 ft. Railing is installed around the perimeter of the floor for guest safety and is required. 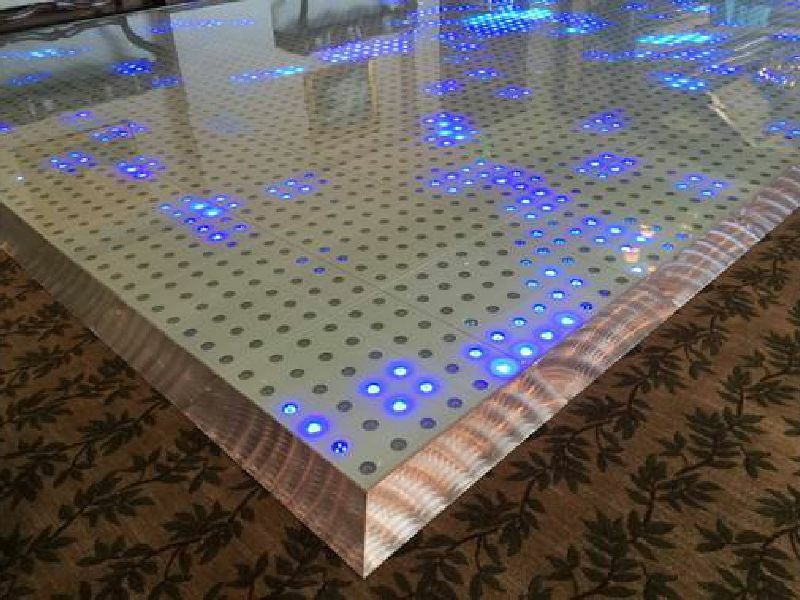 The 1” clear acrylic on the top of the floor has scuff marks and scratches. 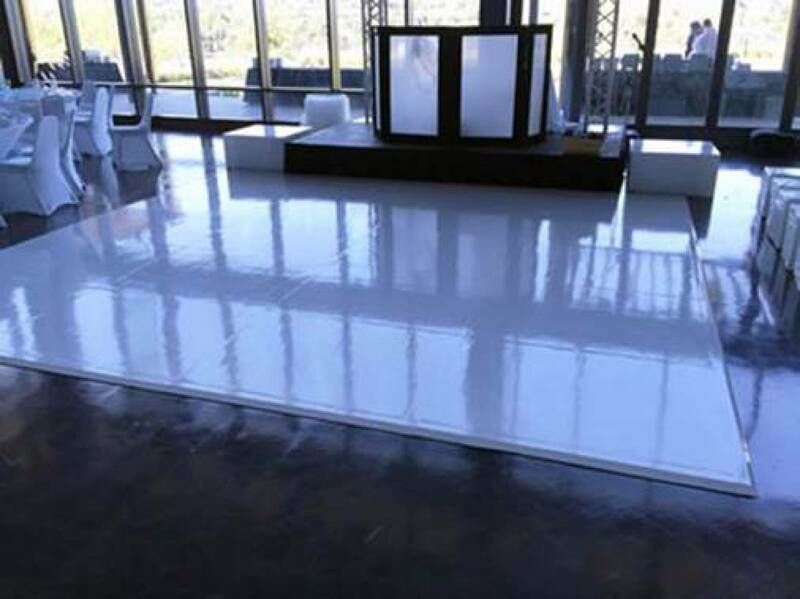 The floor is cleaned and buffed for each use, minimizing the marks, however, if you are using a video monitor in the floor, or decorative items, you may want to consider ordering NEW acrylic for those particular squares. The additional cost is $500 per square. 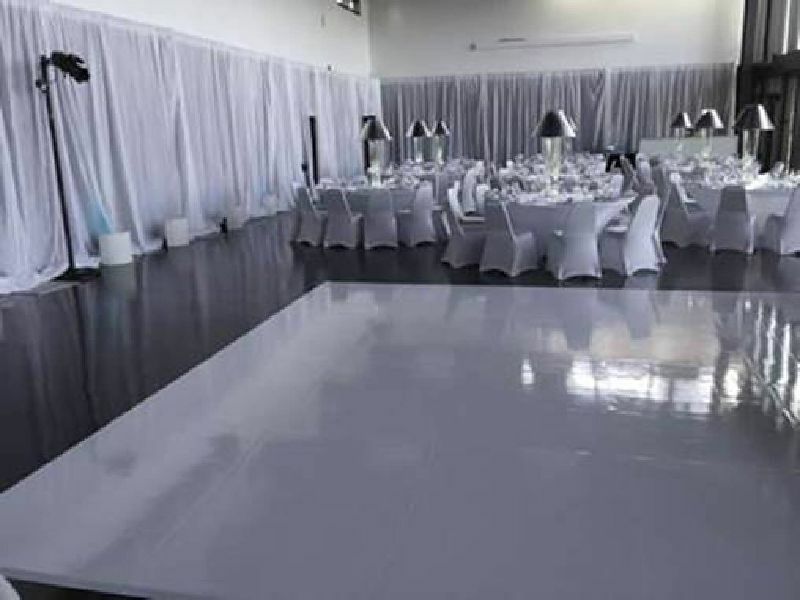 The imperfections do not really diminish the appearance of the floor if you are using the frosted squares for the color effect. 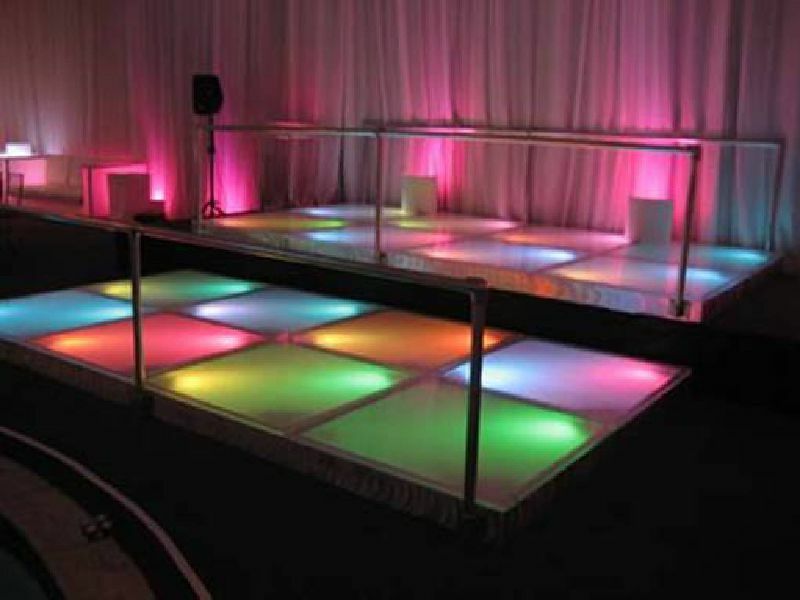 Often times, budget considerations make the full dance floor unaffordable, so we do offer dance riser sections. 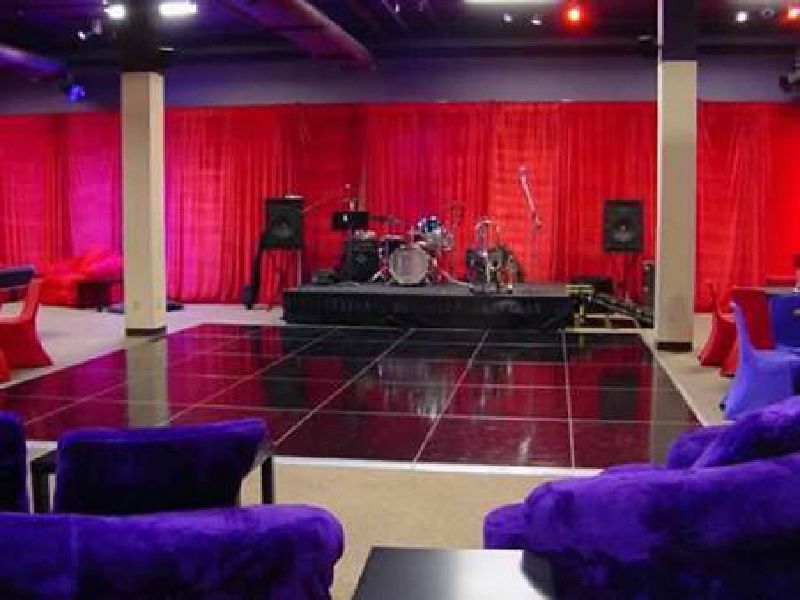 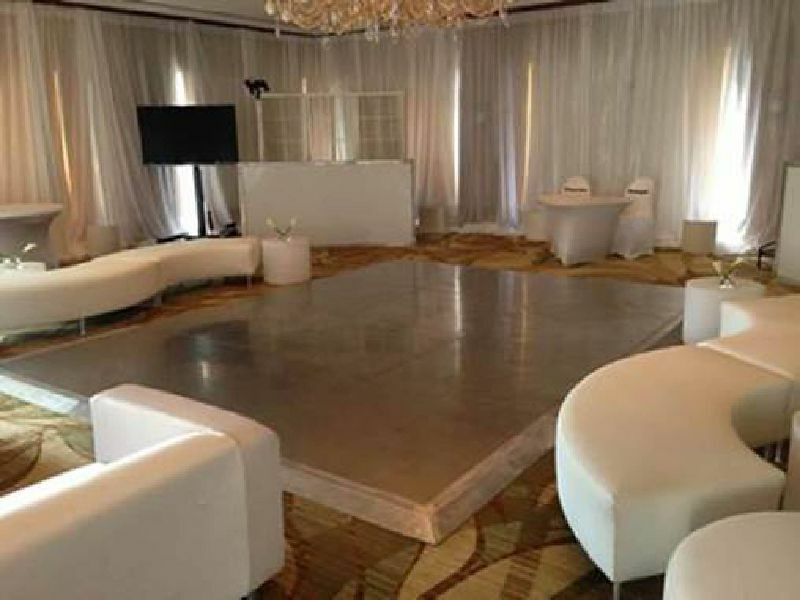 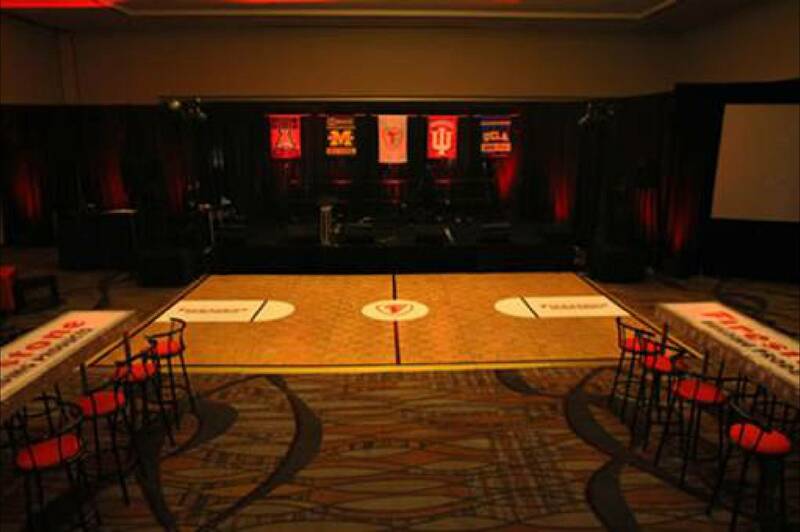 That is, use a “free” dance floor provided by the venue and add 8 ft x 12 ft. or 8 ft x 16 ft sections off to the side. 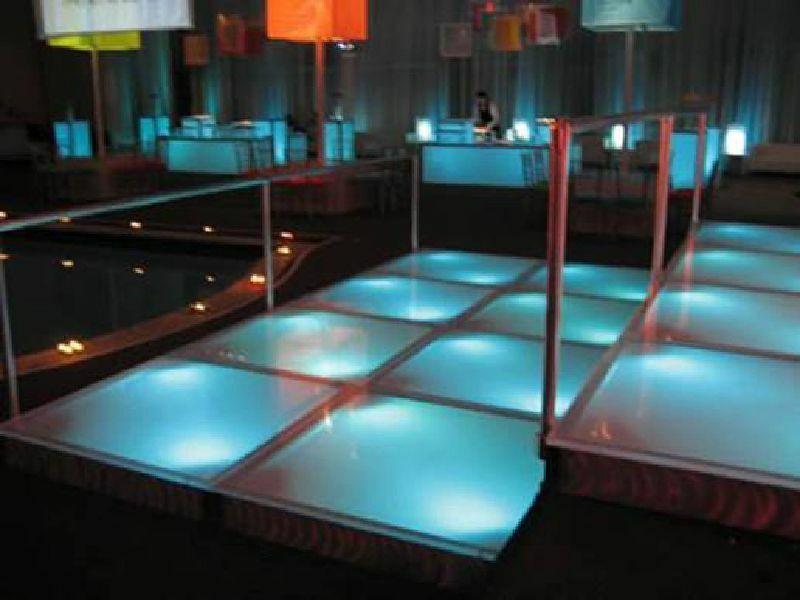 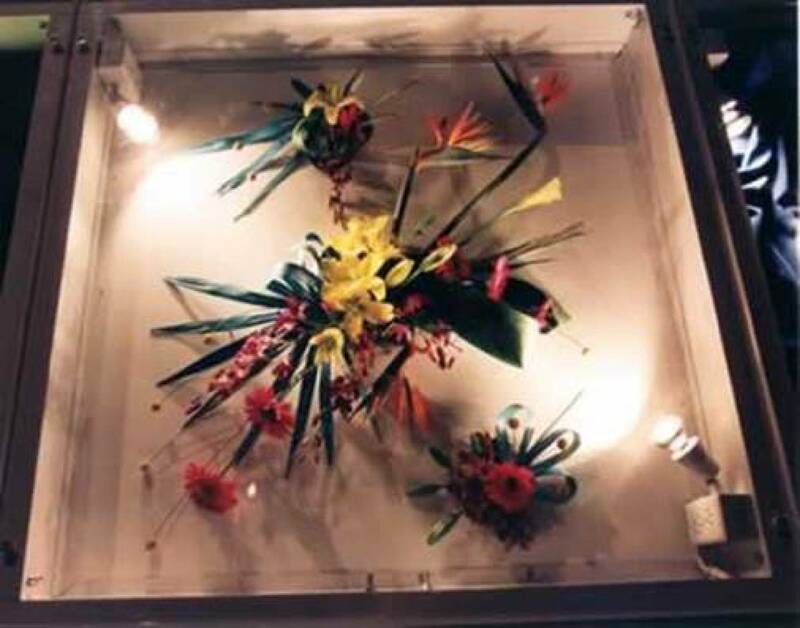 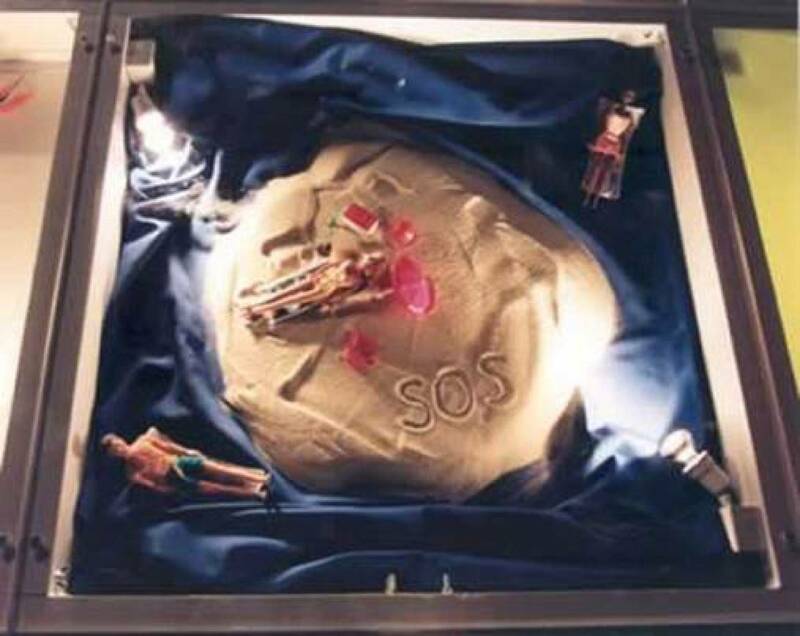 Each square is 6” deep and can accommodate a variety of 3-dimensional designs including video screens, floral, or personalized items. 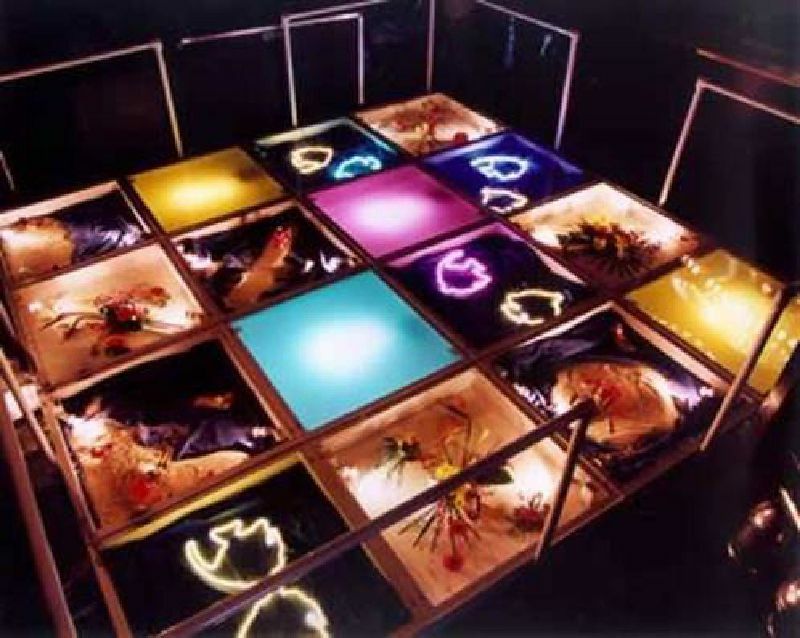 Each square is about 2 ft x 2 ft x 1 ½” high (about the same as a traditional dance floor). 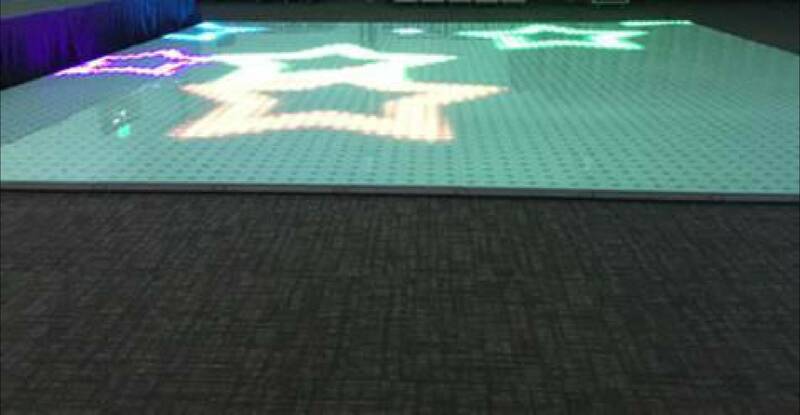 The programming includes simple solid colors or over 75 video pattern graphic effects. 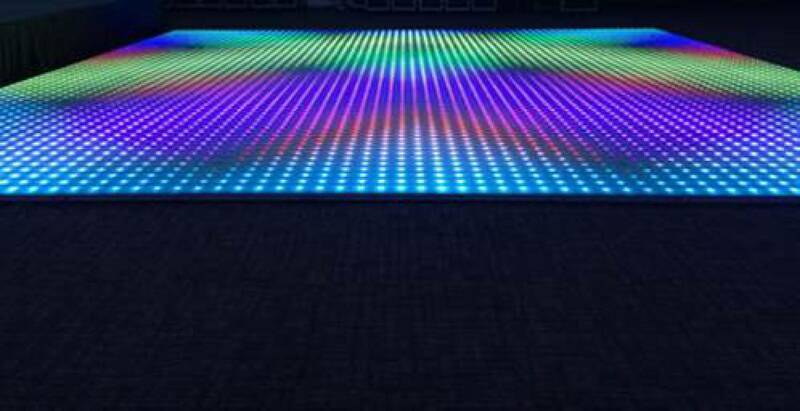 The programming includes simple solid colors or over 75 video pattern graphic effects. 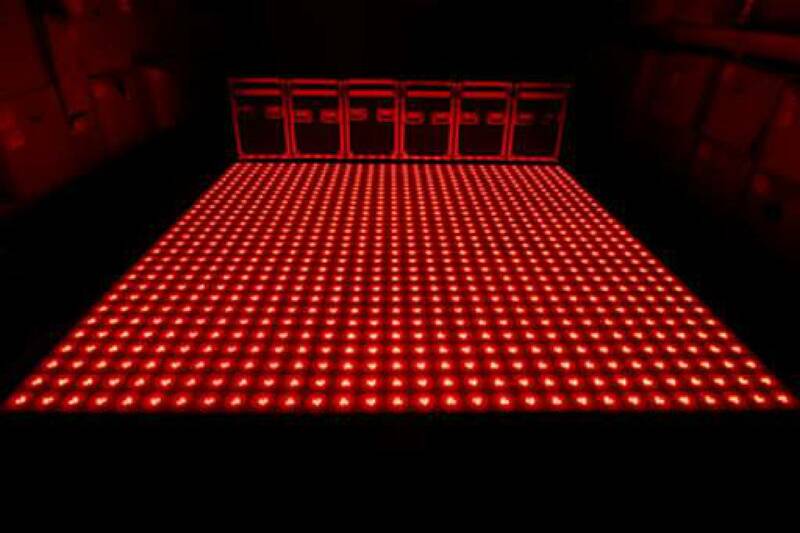 You can enhance the L.E.D. 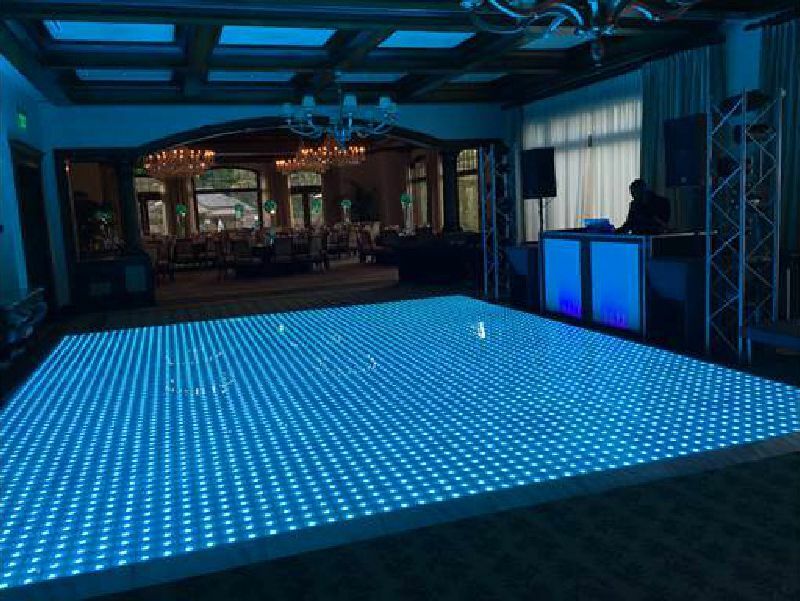 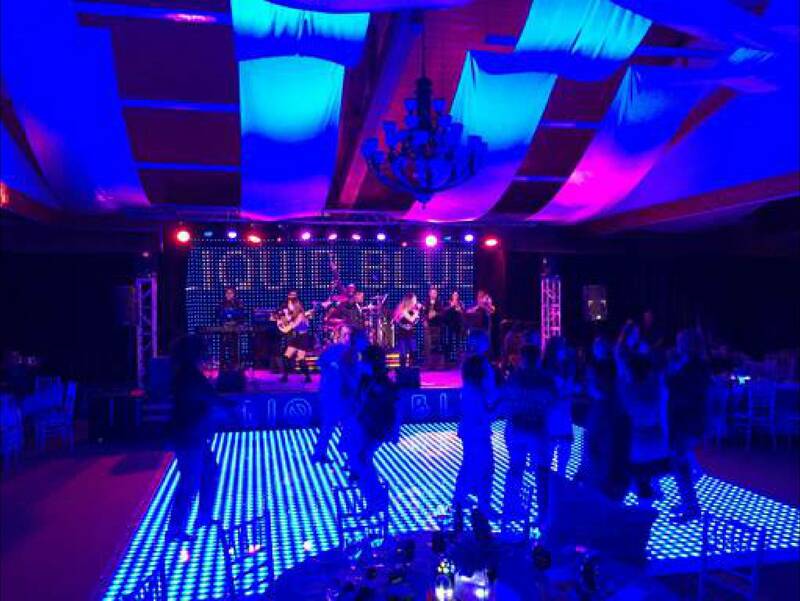 Video Dance Floor experience by combining it with our L.E.D. 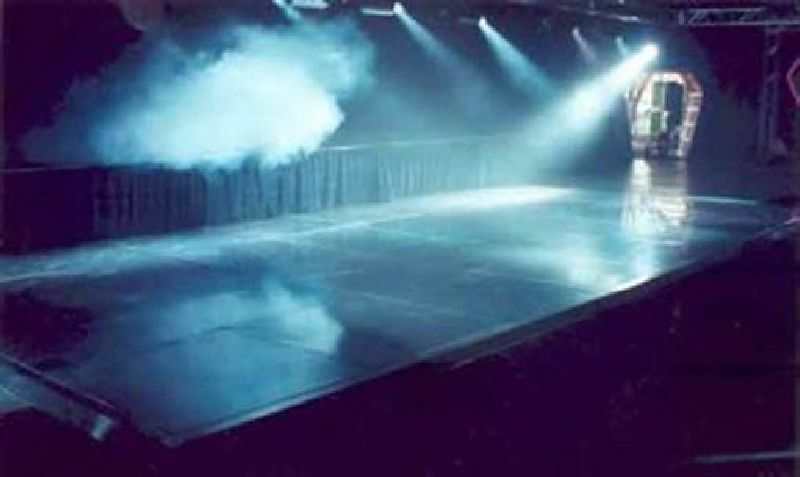 Video Curtain.